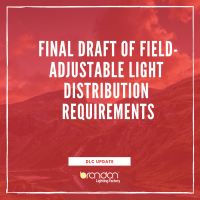 It is clear that considerable work remains before we will be in a position to accurately specify end-of-life color shift limits for a specific luminaire design. Given this situation, and pending further work by standards organizations, we recommend that manufacturers designate products in one of three categories: lamp replacement, luminaire (standard grade), or luminaire (specification grade), and then treat color shift differently for each segment. 1. Lamp replacements are more amenable to LM-80 color shift measurements and projections since the design is consistently repeated, and sales volumes are high. Color can be specified on the Lighting Facts label in general terms for what is assumed to be a non-critical market. 2. Standard-grade luminaires would specify a maximum-warranted color shift by indicating an n-step ellipse within which the product will remain within its lifetime. 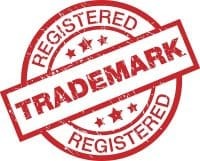 It would be up to the manufacturer to determine what limits should be specified and for how long a period the warranty applies, which may or may not coincide with the lumen lifetime. 3. Specification-grade luminaires are intended for more discerning customers. More sophisticated color metrics may be included in the specifications, and the maximum color shift over the stated lumen lifetime would be provided. For these types of applications, the defined limit of color shift may need to be very specific, perhaps in terms of Δu’v’, the shift of the actual color point. Some professional-use lamp replacements might be included in this category as well. All three categories require some means for the manufacturer to predict color shift over a period of time, but with greater or lesser precision depending on the classification. Additional work is needed outside the scope of this document to improve these methods.